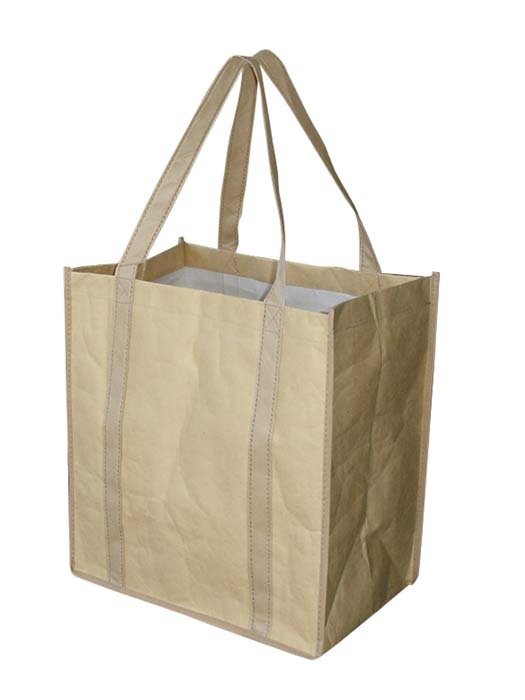 Are you looking for an environmentally friendly alternative to plastic bags? 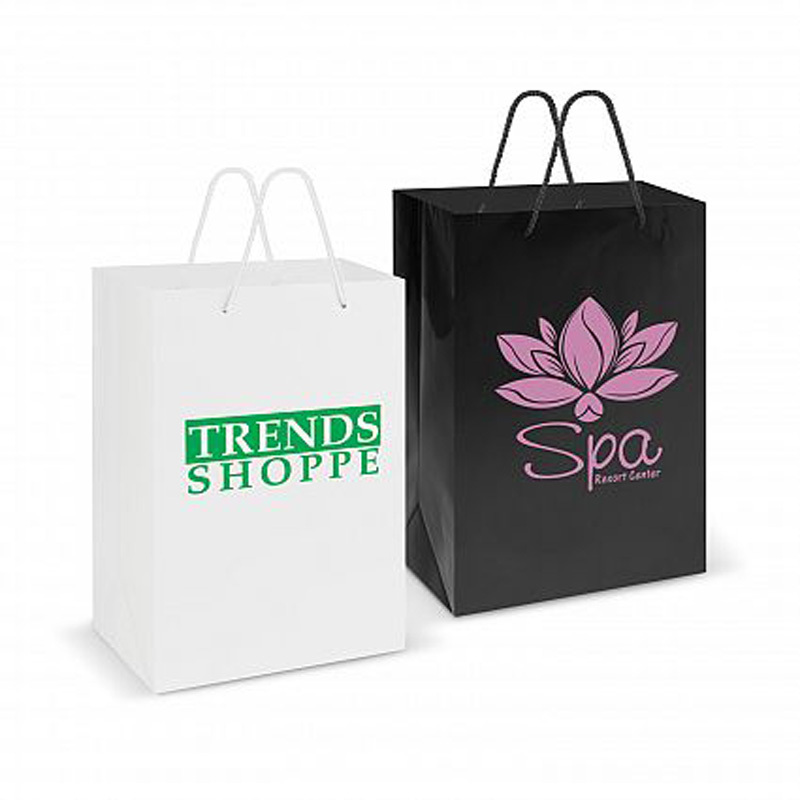 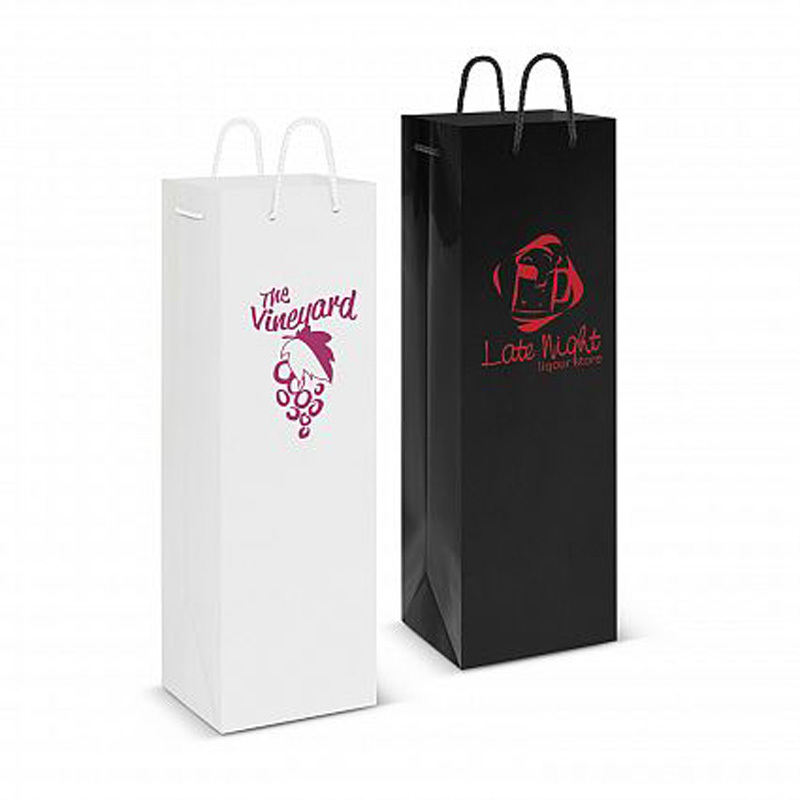 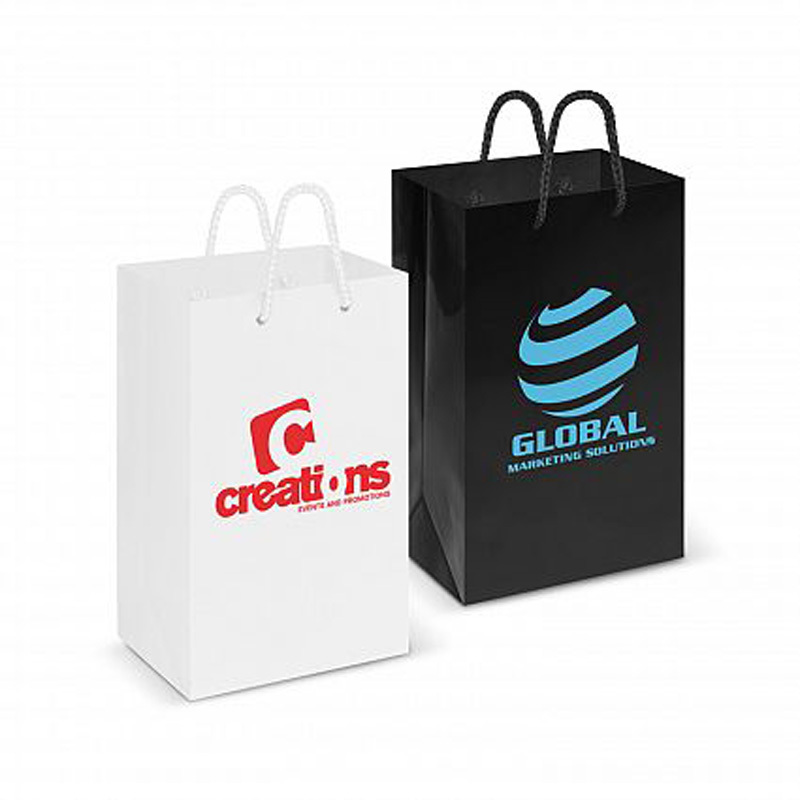 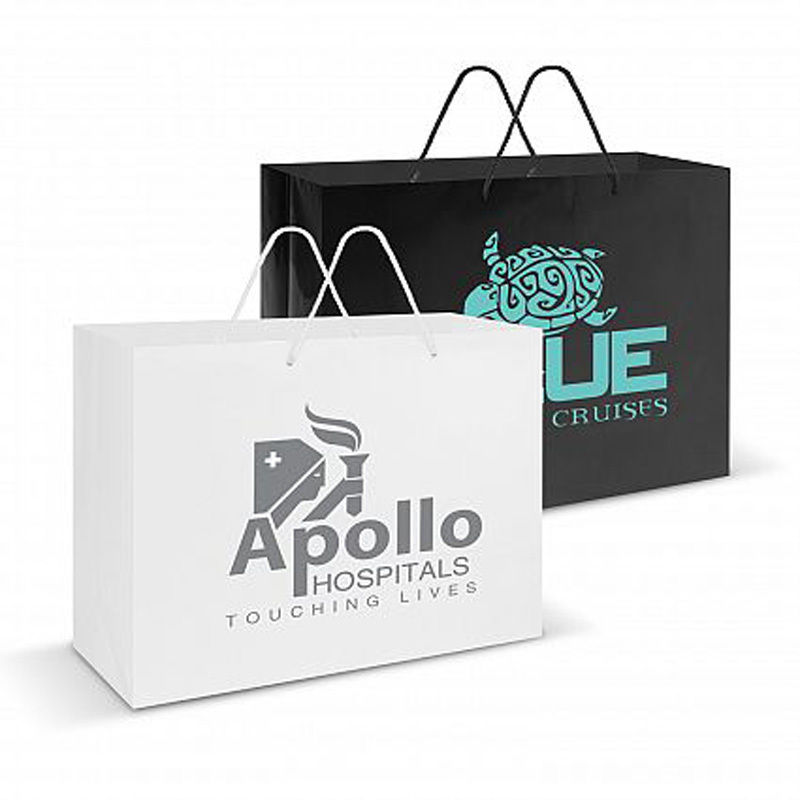 We think that promotional paper bags could be just the solution! 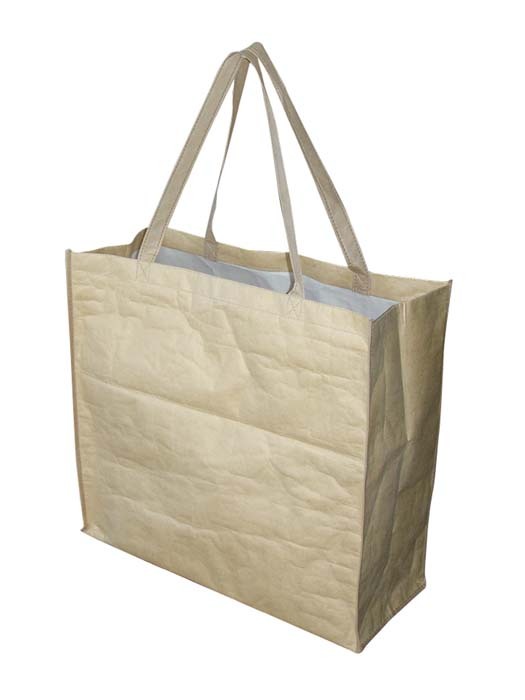 Not only are our bags strong enough to be reused, they can be recycled when no longer required. 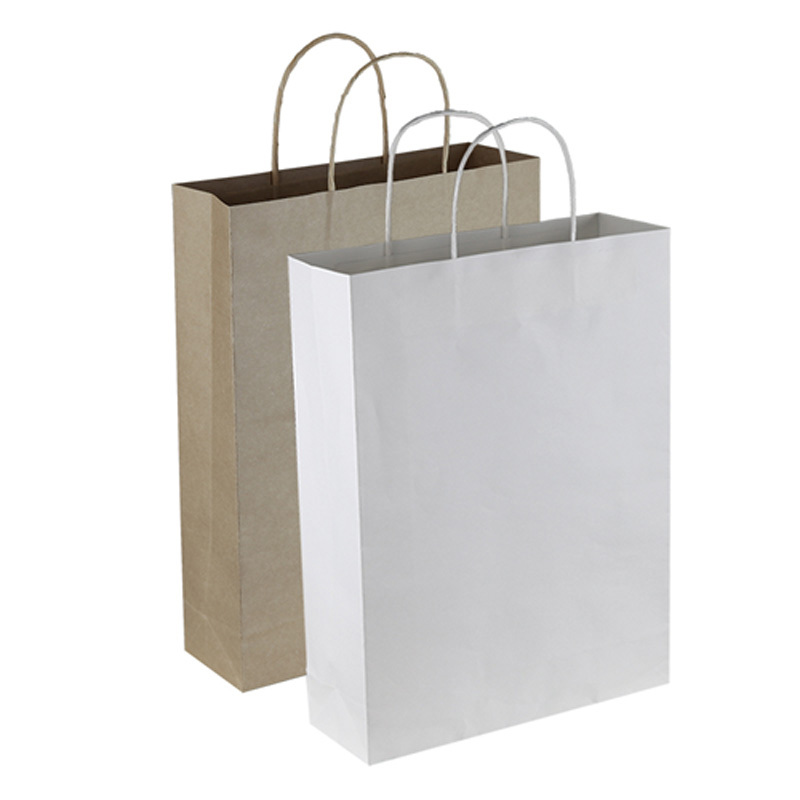 Plus, paper is a renewable resource – it can be replaced with new growth without depleting further resources. 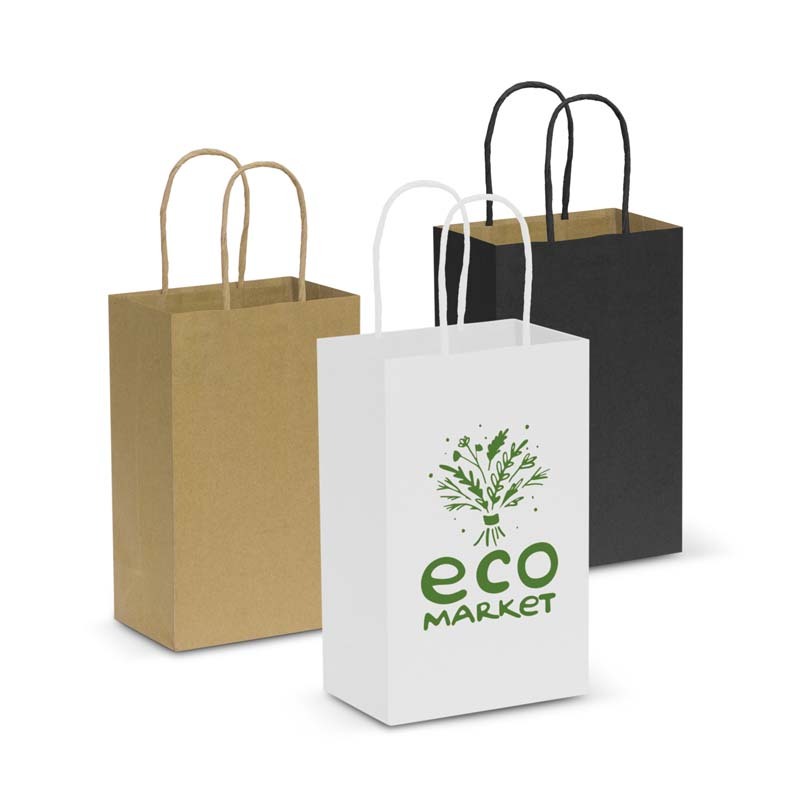 If you want to make a clear statement about your commitment to the environment, we can help you make it happen! 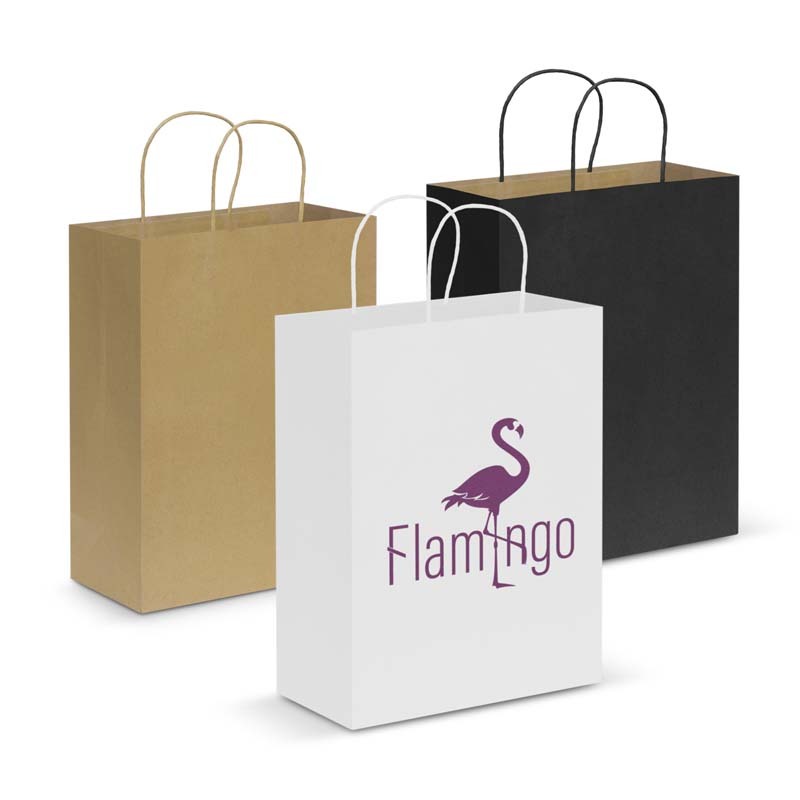 Don’t let the perceived fragility of custom paper bags put you off – our products are actually waterproof and have been reinforced to ensure maximum durability. 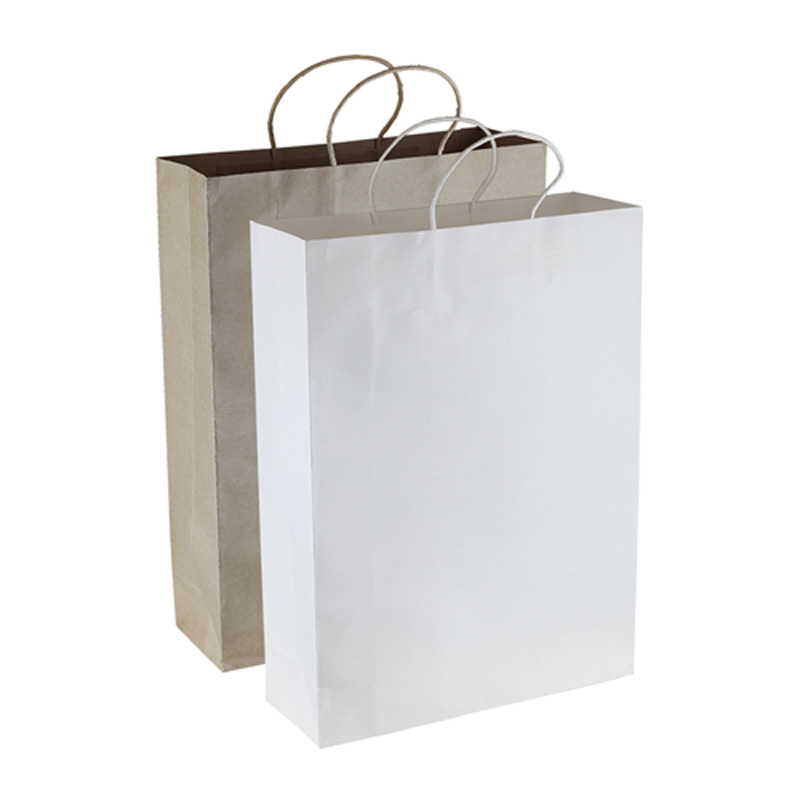 Your customers won’t have to worry about heavy or sharp objects piercing through the sides. 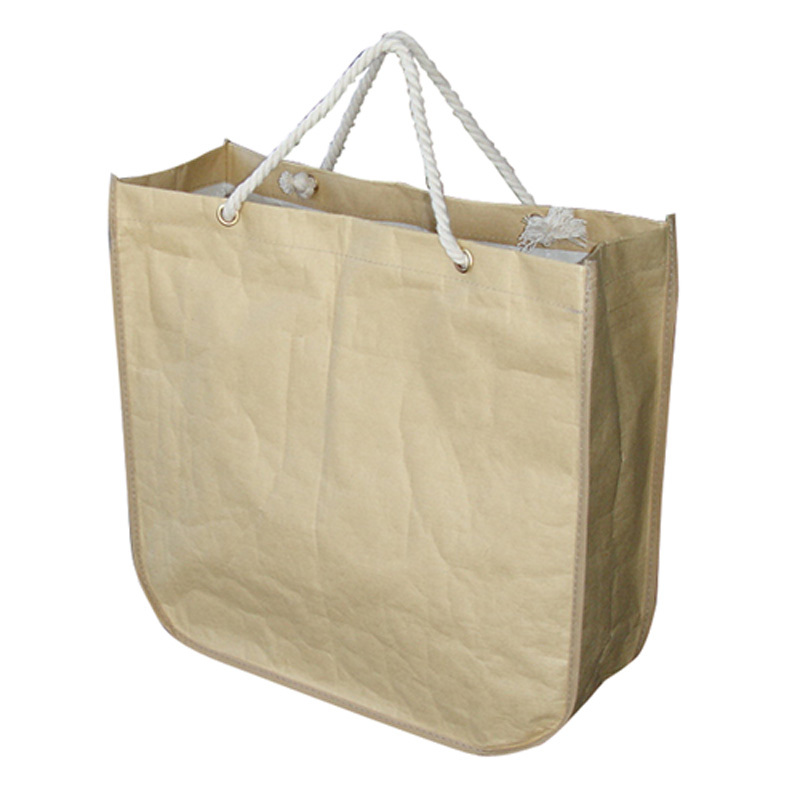 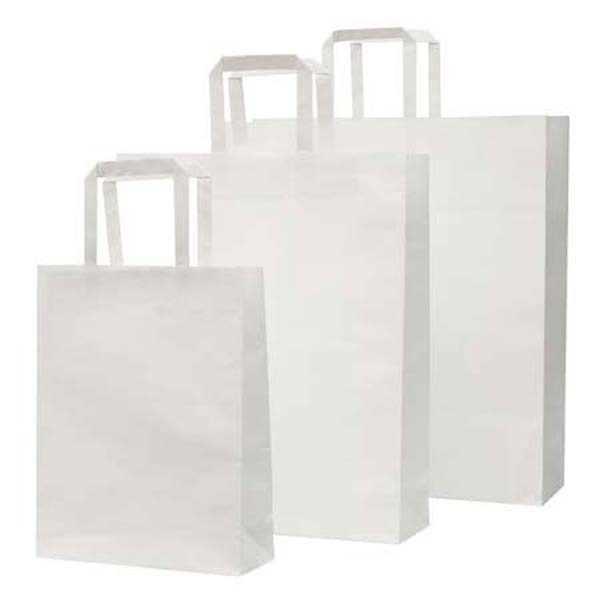 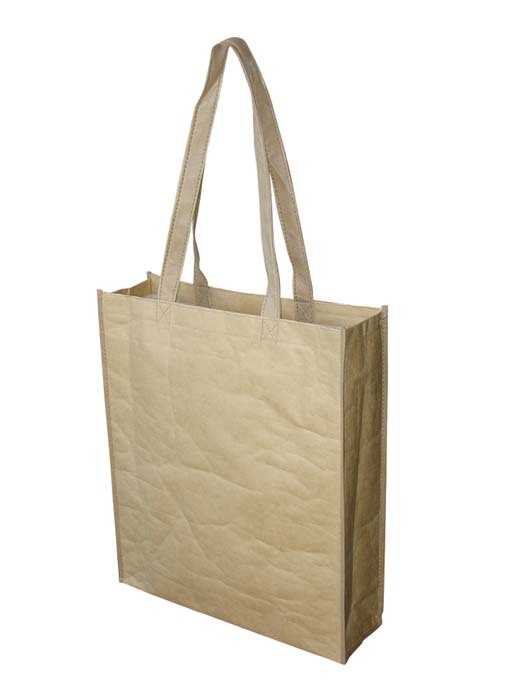 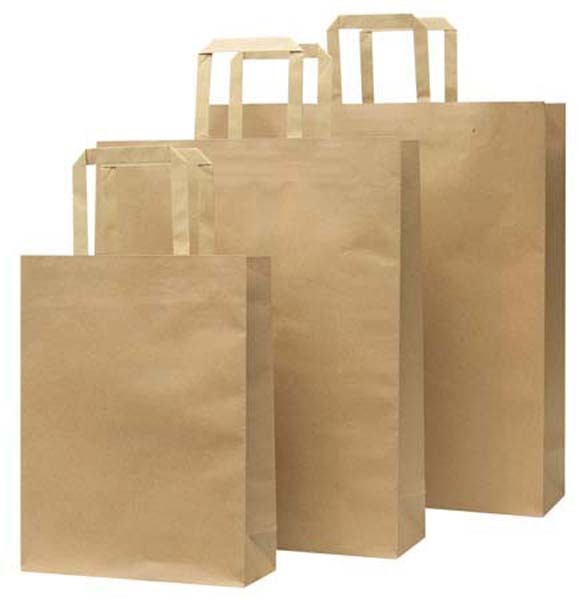 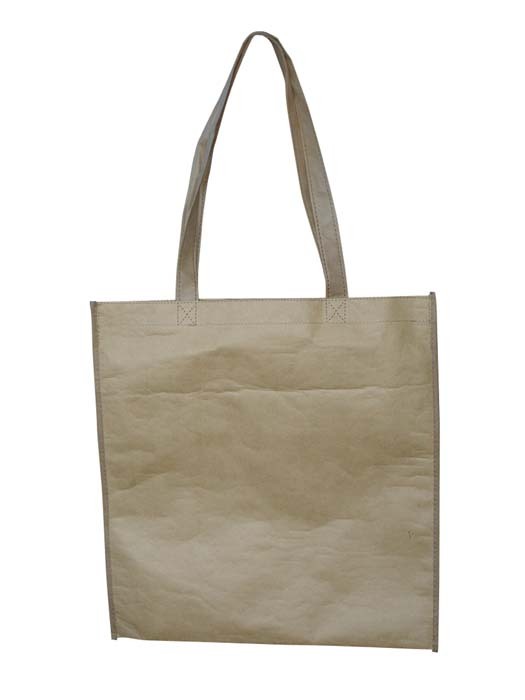 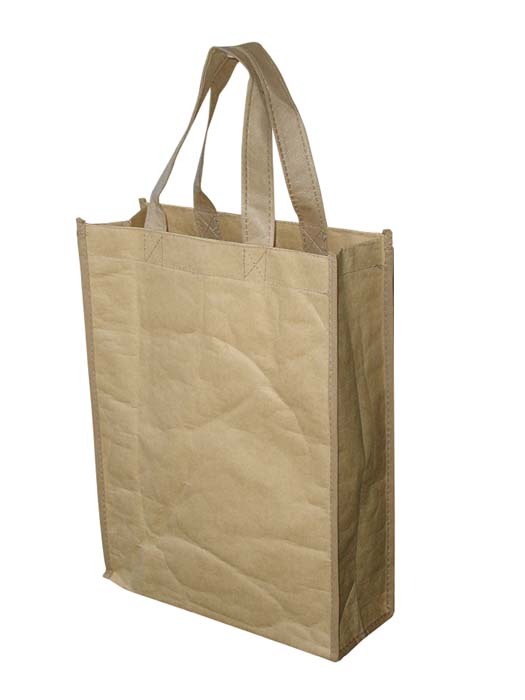 We supply bags in a variety of sizes, from small ones to carry a single item through to large ones for your grocery shopping, and in a range of styles, including: totes, round corners, shoppers, and those with or without a gusset. 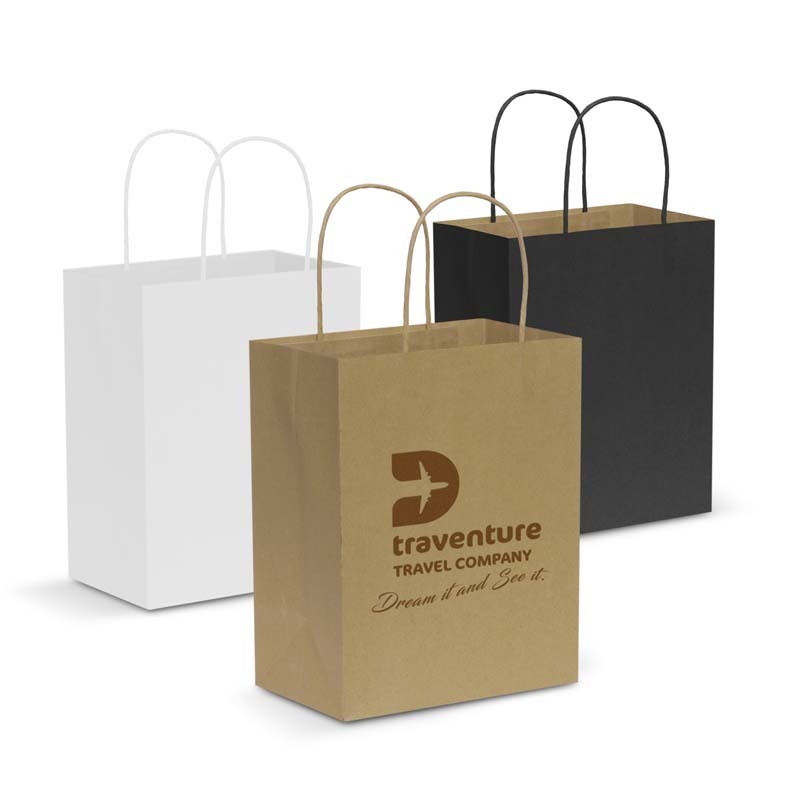 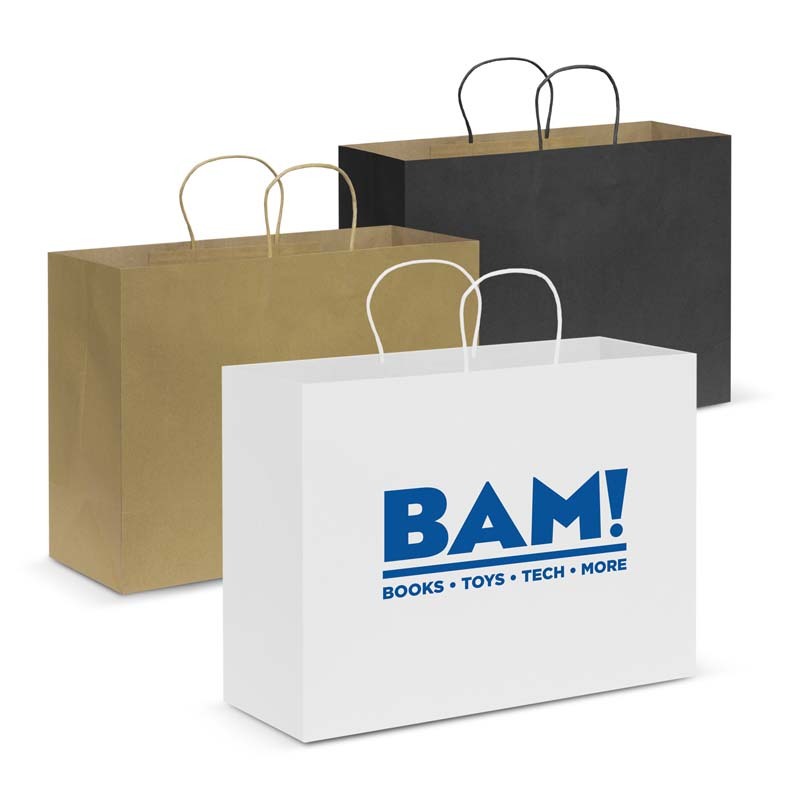 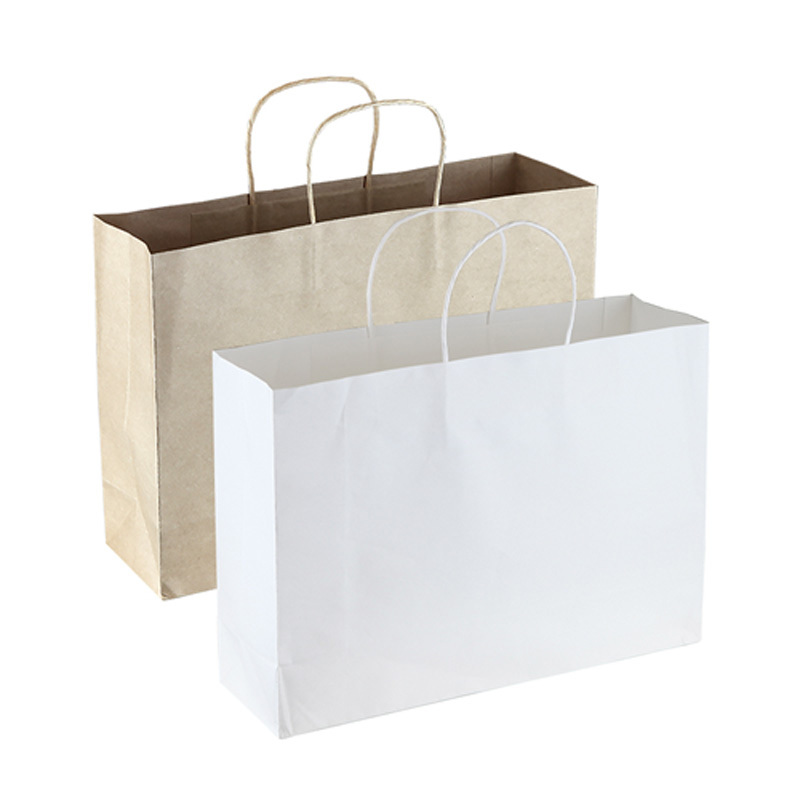 For the most natural look, we recommend brown personalised paper bags but if you really want the colours of your logo to pop we also offer a white option. 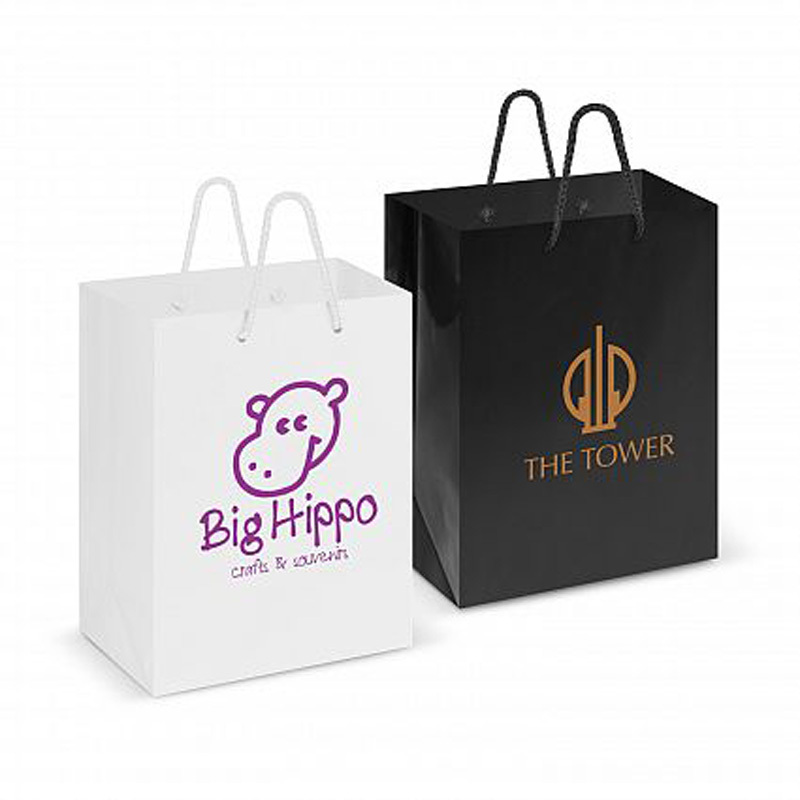 No matter which colour you have selected, rest assured that your logo or marketing message can be printed onto it with ease.